Observation notes: Time: ~3:40 p.m. Temperature: 82 degrees. Wind speed: 3 mph. Sky: Mostly sunny. 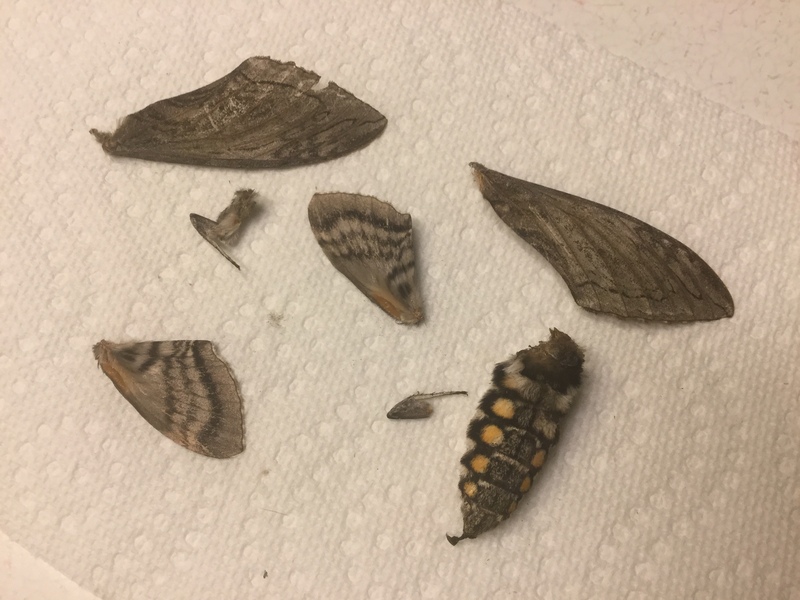 Notes: I found this hawkmoth ripped apart in my backyard, with various parts scattered around a few-foot radius. 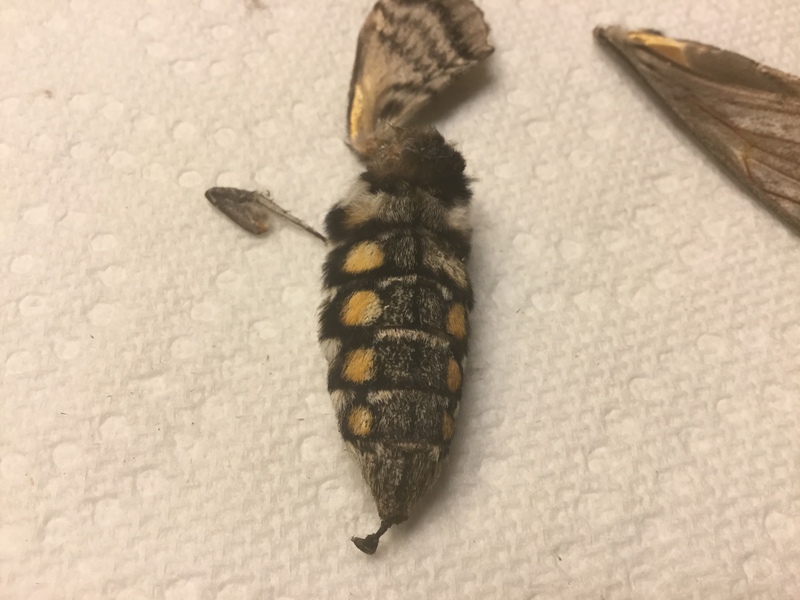 Based on my previous sighting, I'm guessing this is another Five-spotted hawkmoth (though it's a little hard to tell in this mangled, worn state). My next-door neighbors have a free-roaming cat, and they also have a garden with tomato plants. At dusk, I'm guessing their cat stalks the garden, and she pounces on these moths as they come by to inspect the tomato plants for egg-laying. 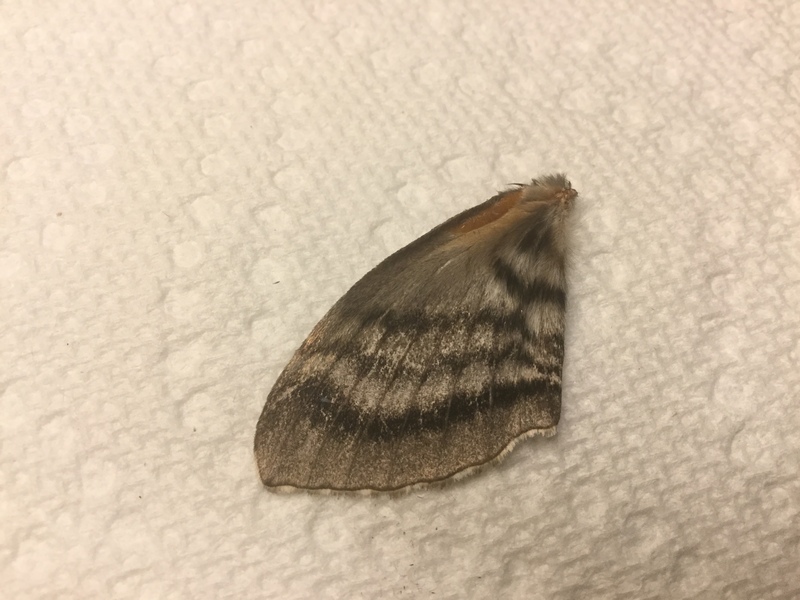 Then, she probably deposits the dead or injured moth in my backyard, which would explain the other one I found a month ago.